Building with toothpicks is the hobby of 14-year-old Martin Roberts who showed his models of a Ferris wheel and the Eiffel Tower at a New York hobby show. 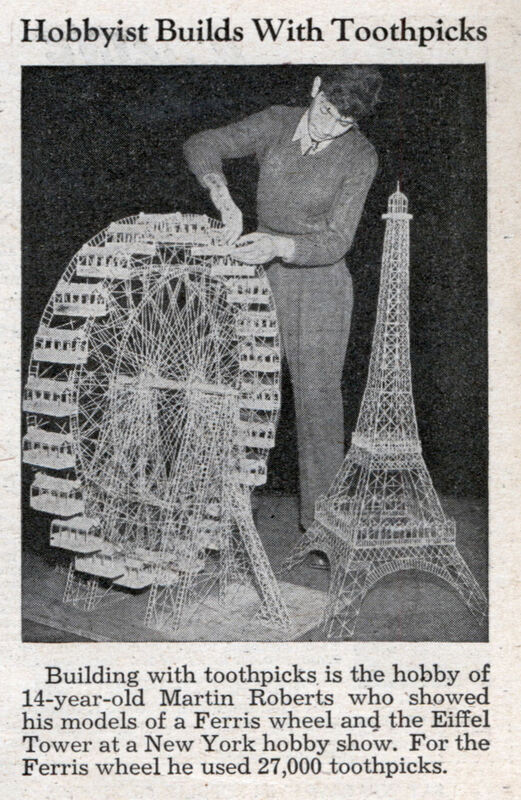 For the Ferris wheel he used 27,000 toothpicks. Check out the current master of toothpick art, Wayne Kusy. Tried the waynekusy.com site. Dead. Why is such vulgarity as posted by Laurie allowed here? And why would they go to all the trouble of posting it in this type of forum? cowboy » I spammed it. Sometimes stuff gets through and I have to notice it before I can delete it. Would like to know what kind of toothpicks I should use. I am a begginer and would like to do something crafty with my free time. I would recommend using wooden toothpicks. They seem to glue together easier. Round, square or are there other types of thoothpicks that are sued that I dont know about. Most toothpick structures I’ve seen use the flat ones that taper at one end. Harry, have you ever sued a toothpick? lol i have never sued a toothpick or used one. It was a typo, sorry :-(. 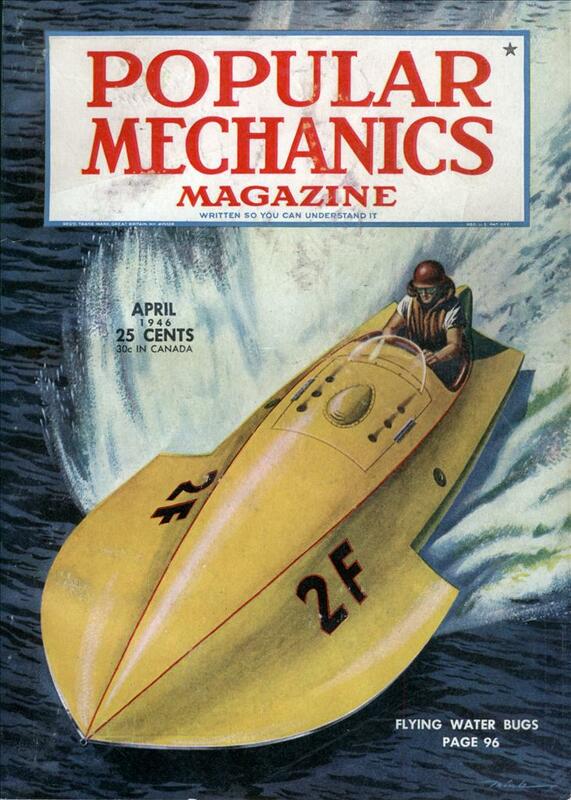 But I am facinated with the things people build and the amt of work and skill that is used. I would like to get there some day but just want a few tips as what type of toothpick to use. Know of any good sites that sell the toothpicks you use? You have to do some careful searching and a lot of the ones online are Chinese exporters which are out of the question. Sites don’t always tell you if they’re selling round or flat or in some cases, they say round but mean rounded ends and their pictures are insufficient. And it looks like they are now wrapping individual toothpicks in cellophane. That would be a problem. Nothing’s simple anymore. Maybe you could check local cafes and restaurants food service suppliers. I wonder if this Martin Roberts is still alive and where his toothpick art is these days if it survives. He would have been born around 1932.